Morocco is a partly free country, according to the recent report compiled by Freedom House, a US-based organization that conducts research and advocacy on democracy, political freedom, and human rights. Scoring 39 out of 100 points, Morocco is ranked 144th among 210 countries and territories studied by the report. Released in February, the «Freedom in the World»’s ranking puts the Kingdom in the second position in North Africa. The region is topped by Tunisia 88th, the best performing country in the Arab world, followed by Algeria 151st, Mauritania 152nd, Egypt 172nd and Libya 196th. The Kingdom is ranked third in the Arab World, behind Tunisia 88th and Lebanon 134th and ahead of Jordan 147th, Kuwait 149th, Iraq 154th, Qatar 166th, Oman 171st, UAE 184th, Bahrain 190th, Yemen 191st and Saudi Arabia 199th. According to data compiled by the Freedom House, Morocco scored 5 out of 7 points in freedom rating, political rights and civil liberties, the three main sub-indexes of the report. According to the same source, having 7 points means that the country is not free. The North African Kingdom managed to improve its performance in the Freedom House 2019 edition after it was ranked 146th last year. In 2018, Morocco fell down in the ranking compared to the report’s previous edition when it was ranked 142nd. 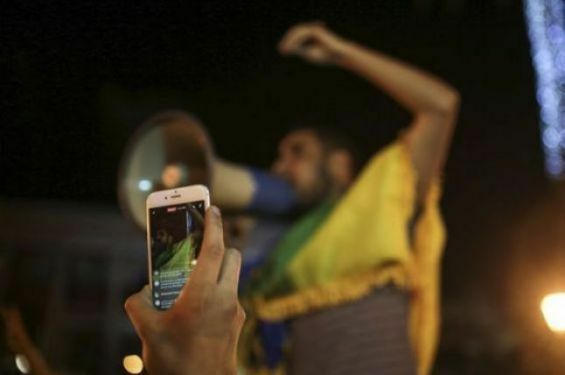 At that time, Freedom House said that «Morocco’s civil liberties score declined from 4 to 5 and» and that the country «received a downward trend arrow due to harsh state responses to major demonstrations throughout the year». Globally, the ranking was topped by Finland, Norway and Sweden scoring 100 out of 100 points, followed by Canada and the Netherlands. In their conclusion, the authors of the report pointed out that «Political rights and civil liberties declined in 68 countries, while only 50 countries made gains». Moreover, Freedom House stressed in its annual report that «authoritarian states across the Middle East and North Africa continued to suppress dissent during 2018». It pointed out that even the region’s few democracies «suffered from self-inflicted wounds».